Tom and Will are back and looking to solve a mystery of sabotage. With F.B.I. Agent Rick Sweeney along for the ride they follow the clues but will they regret where the clues lead? 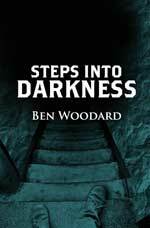 Steps Into Darkness (A Shakertown Adventure) is the second novel in the Shakertown series.